Last Wednesday he used his Republican majority to cut the time for debating Trump's court appointees from 30 hours to two, thereby enabling Republicans to ram through even more Trump judges. McConnell doesn't give a fig about the Senate, or about democracy. He cares only about winning. On the eve of the 2010 midterm elections he famously declared that his top priority was for Barack Obama "to be a one-term president." Then, in 2017, McConnell and his Republicans changed the rules again, ending the use of the filibuster even for supreme court nominees and clearing the way for Senate confirmation of Trump's Neil Gorsuch. Knowing he would be criticized by other Republicans, McCain noted that over his career he had known senators who seriously disagreed with each other but nonetheless knew "they had an obligation to work collaboratively to ensure the Senate discharged its constitutional responsibilities effectively." In words that have even greater relevance today, McCain added that "it is our responsibility to preserve that, even when it requires us to do something less satisfying than 'winning.'" In terms of shaping the federal courts, McConnell has played "the long game," which, incidentally, is the title of his 2016 memoir. 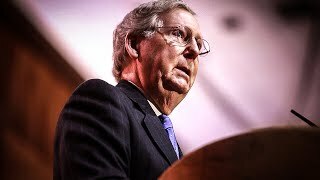 Decades from now, McConnell will still be shaping the nation through judges he rammed through the Senate. But McConnell's long game is destroying what was once known as the world's greatest deliberative body. History won't treat him - or Trump - kindly. But we are stuck with the rotten results of their policies now and into the future. If we have a dictator, he doesn't sit in the oval office, he sits in the Leader's chair in the Senate. How this power can be broken is the question.